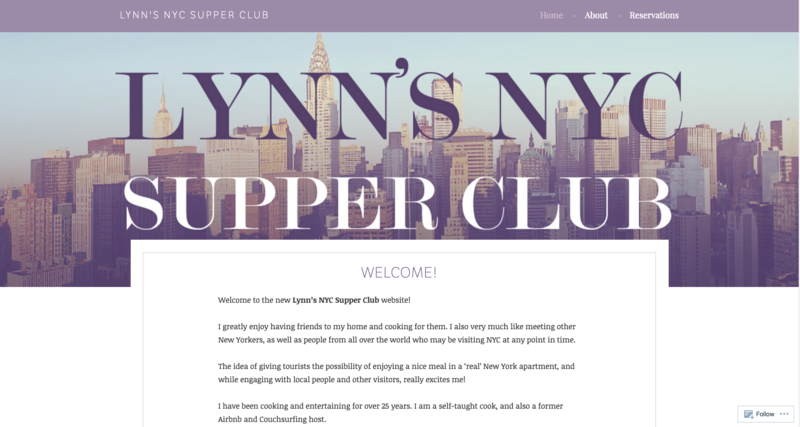 Lynn's NYC Supper Club is the website for NYC food blooger and business owner who runs her own supper club, where she invites guests, locals and tourists alike, to enjoy her culinary excursions in a very friendly, family-style setting. The client approached me for help in everything marketing strategy - branding, digital presence, social media, and graphics work. The website is a result of a collaboration with Lani Lim, a graphic design artist based in NJ/NYC.